Mt Sinabung, located in Karo district, North Sumatra province, Thursday erupted at 7.20 a.m. local time, causing 386 seconds of tectonic earthquakes in some nearby areas. 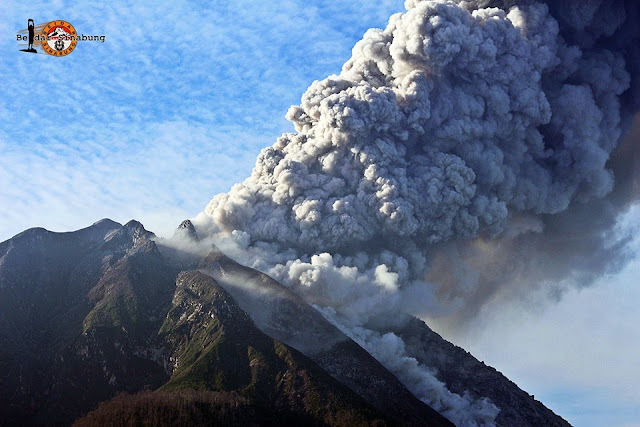 Chief of National Disaster Mitigation Agency (BNPB) Sutopo Purwo Nugroho said here that following the eruption, the volcano spewed ashes 3.5 thousand meters into the air, while discharging lava 1 thousand meters to the mountains southern region. Earlier on Wednesday, the volcano spewed ashes 1.5 thousand meters into the air and causing six tremors, 20 volcanic earthquakes, and one tectonic earthquake. In Wednesdays eruption, since 12 p.m. local time, the volcano spewed ashes 700 meters into the air, while releasing lava 1 thousand meters to the east and the southeast. Following the eruptions, the agency announced that the volcano remained active and was in the highest stage of warning. The agency further called on the community living near the volcano to stay at a radius of three kilometer in the mountains southern and southeastern regions and at a radius of four kilometer to the north and east areas. Apart from remaining in the safe location, the agency also urged the people to stay vigilant over the lava eruption, as the dam in the nearby Laborus River could be cracked by the lava flash flood discharged from the crater. Mt Sinabung has erupted continuously for the past months. Earlier in May, the volcano discharged lava and ashes four kilometers into the air. The eruption, which constantly occurs for the past seven years, had displaced some 2 thousand families living near the volcano. Up until today, thousands of families still stay in the temporary shelters set up by the government. The activity comes asEarth is entering a stream of solar wind flowing from a massive coronal hole on our Sun.